Personalised keepsake bauble to celebrate the year you got engaged. This personalised engagement bauble is the perfect gift for a newly engaged couple to commemorate the year they got engaged as they get excited for the coming year as the plan their wedding. The bauble will be kept for all their christmas's to come, and will have pride of place on their christmas tree every year as they remember their engagement year. 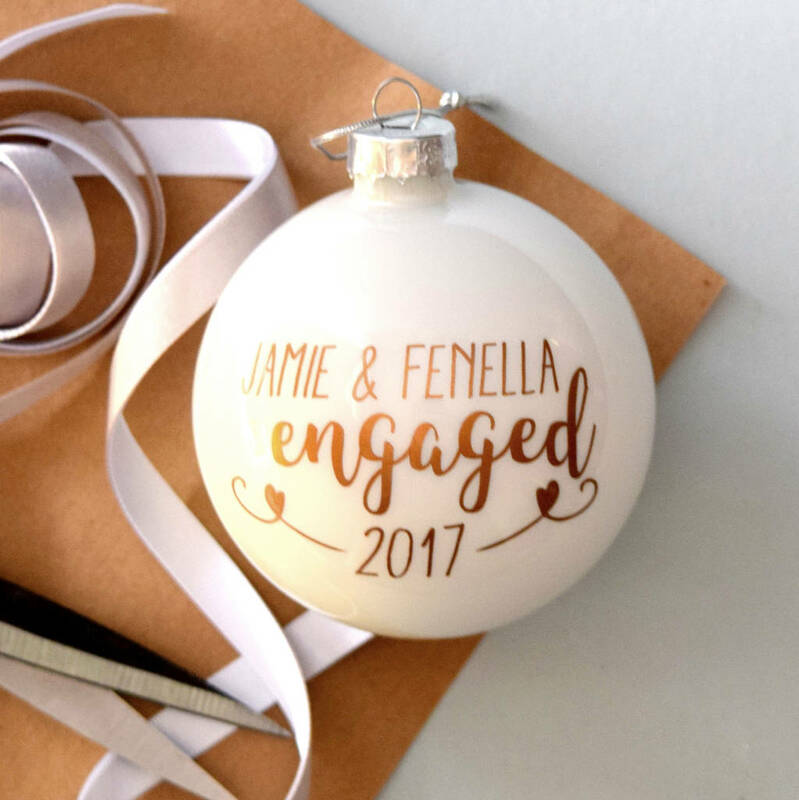 The personalised engagement christmas bauble makes a great christmas gift or stocking filler gift for the happy couple or as an engagement gift. This bauble also makes a great engagement party decoration. Can be personalised with the name's and year of your choice.